Hello there My name is Kevin and I hold a degree in real estate from El Camino College. I began my real estate career back in 2007 as a loan officer. I'm the managing partner of Auxilio Real Estate Investing & Development. 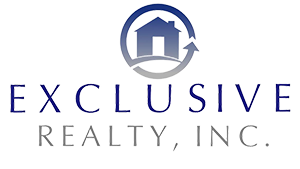 a company that specializes in helping home owners save their homes from adverse actions, I also assist homeowner and buyers in all types of transactions. I also specialize in helping new and seasoned investors in the acquisitions of all types of properties. I have a Career Compass Certification designation, I'm a O.E.F. Marine war veteran serving 10 years in the military. What I bring to all of my client is the integrity, loyalty, honor, and commitment in doing the best job for my client(s). My due diligence and attention to detail allows me to serve my client(s) in a capacity that makes them the number one priority. It also allows me to get my client(s) the highest possible price for their home when representing the seller(s) and the lowest possible price when representing the buyer(s). My promise to all my client(s) is that I will go above and beyond to show you why the best.